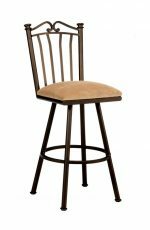 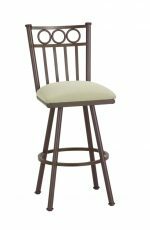 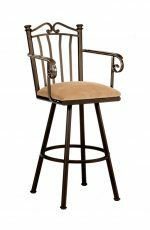 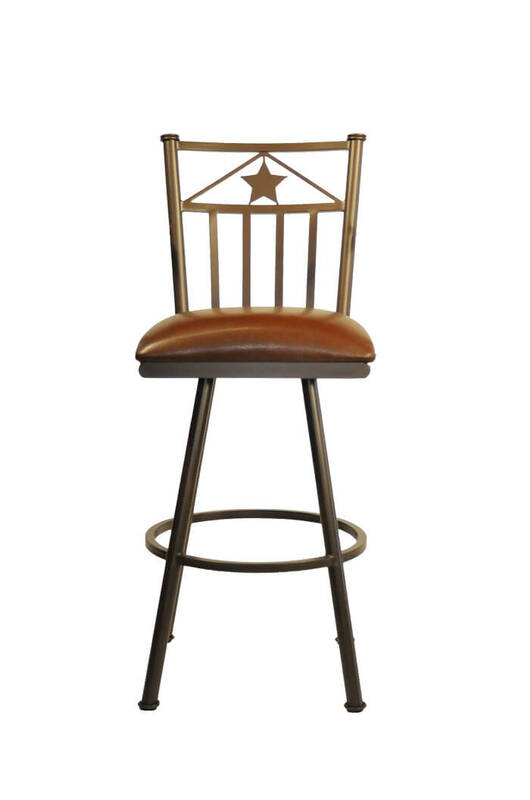 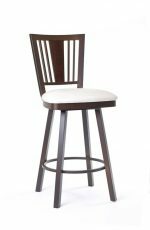 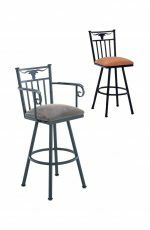 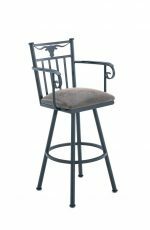 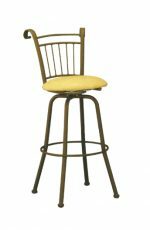 Callee Lonestar Swivel Stool, Western Style Barstool - Free shipping! 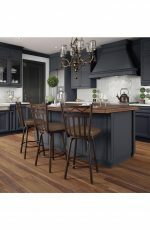 "Great customer service. 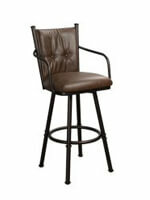 Easy to contact - and they actually call or email you right back!!! 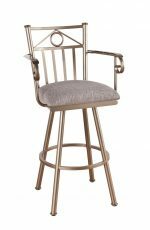 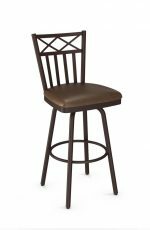 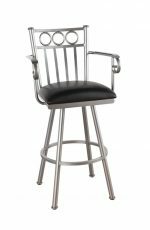 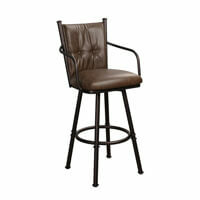 Barstools comfort is the first place I would go for custom work." 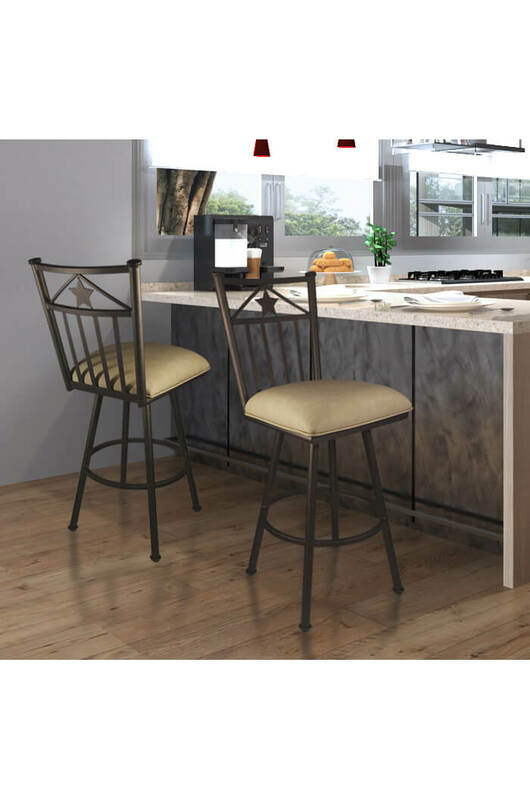 "The stools were exactly what we ordered. The customer service was was really good and the knowledge of the product was unbeatable. 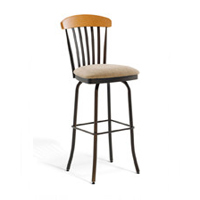 I have two bar stools that I purchased 15 years ago which I was trying to match. 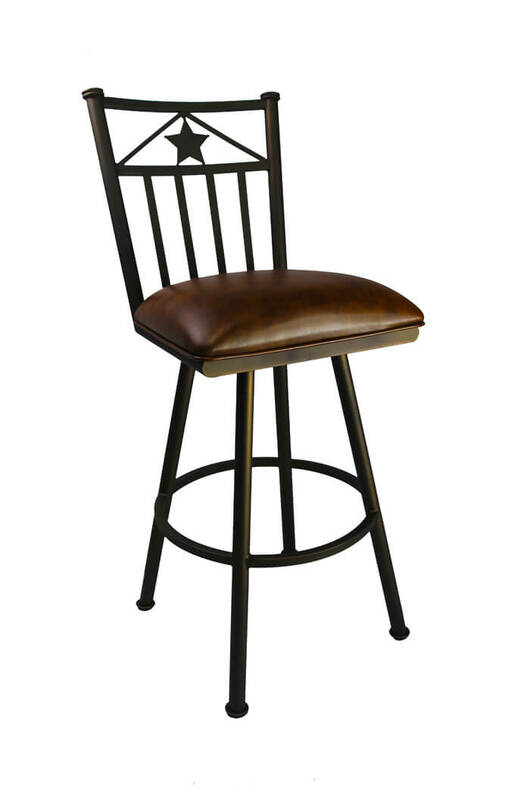 The company I purchased them from has gone out of business, but I found Barstool Comforts and bingo....they had almost the exact stool. 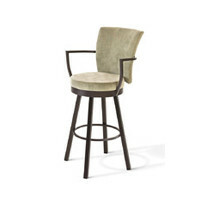 Plus, they were knowledgeable about my old stools. 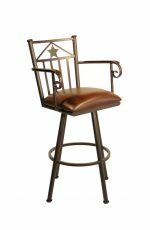 The only difference was the color of the metal I have was no longer available, but the ones from Barstool Comforts was an oil-rubbed bronze which matches other things in the my home. 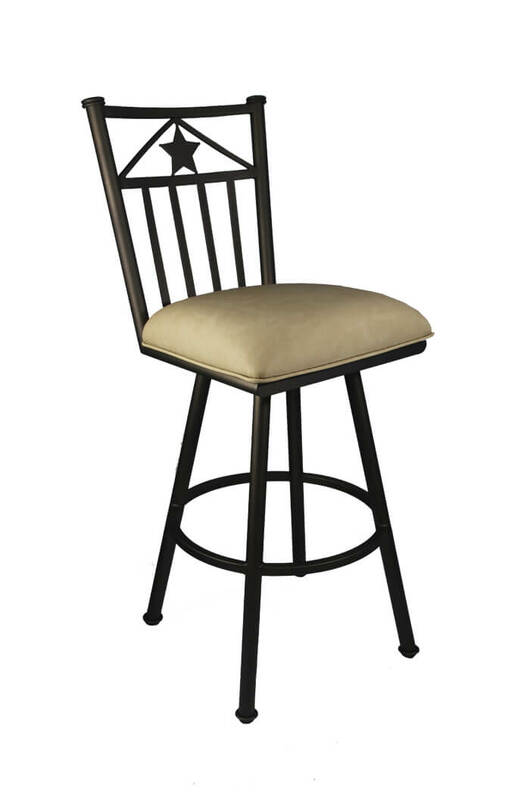 Plus, I got to pick my fabric and ship it to them. 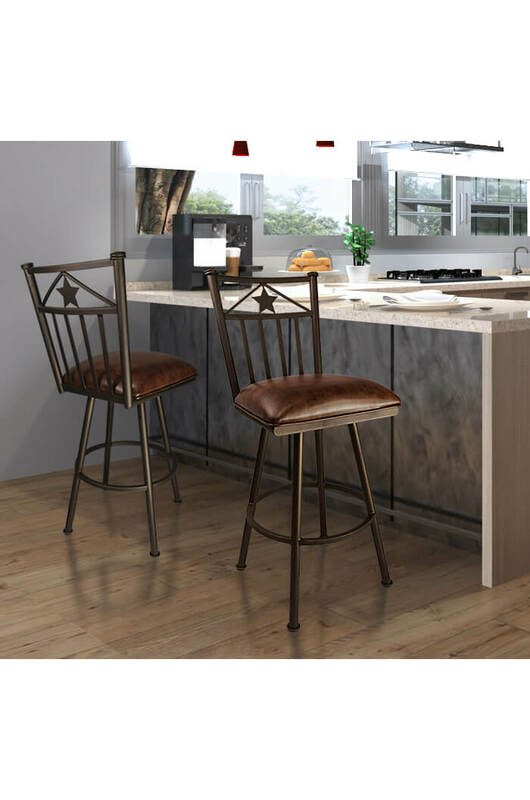 The stools turned out beautiful....and I couldn't be happier with them. 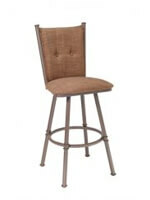 And, they are extremely well built and durable....like my old ones!!!" 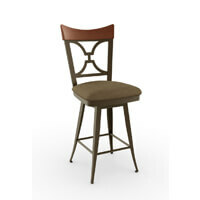 "Well made, good looking and reasonably priced. 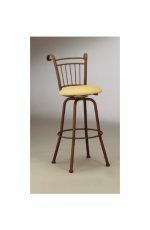 Packaged well, arrived in a timely manner and in perfect condition." 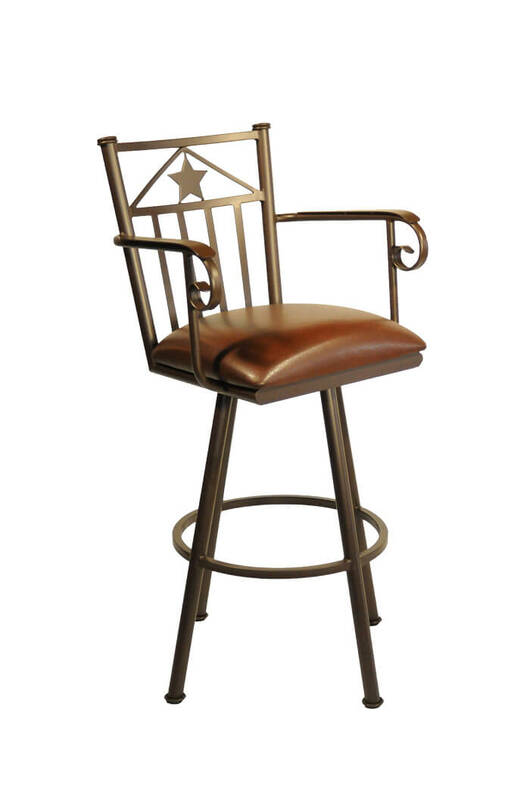 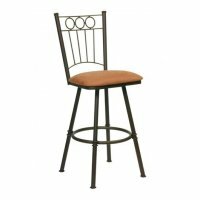 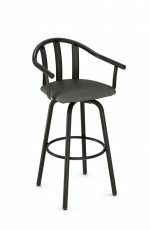 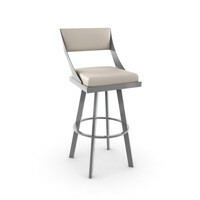 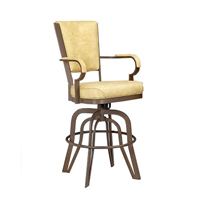 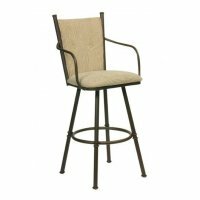 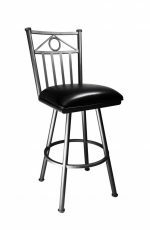 • For the Lonestar Swivel Stool, you will need 1 yards per chair.